KEY FEATURES: Herb to 2m. Bracts red when mature, FL white to pale yellow. 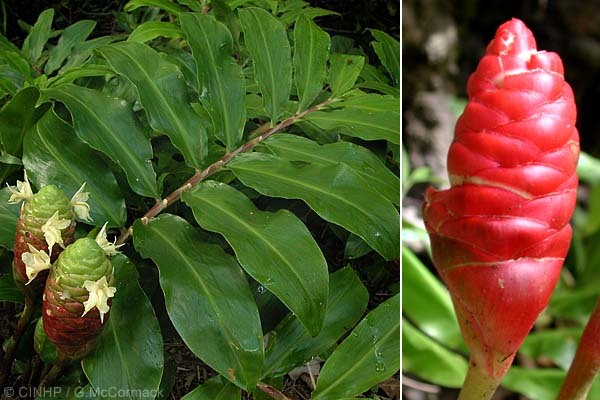 GENERAL NOTE: Rhizome can be used as a substitue for commercial ginger (Zingiber officinale) but is less pungent.